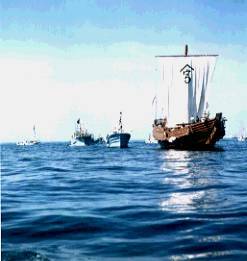 �@ In the early summer of 1796, amidst a pod of blowing whales, a man arrived in Hakodate Bay on his great Kitamae ship. The mans name was Takadaya Kahei. 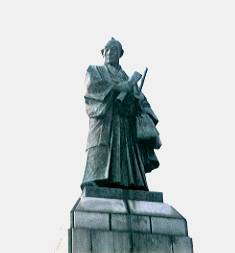 Kahei set up his business base in the city of Hakodate, helped develop the northern shipping lanes and was responsible for opening up the vast fishing grounds of Hokkaido and the Kurile Islands. Although making a small fortune for himself, he returned much to the people of Hakodate in developing the port facilities and many other local industries. Practicing modern management techniques, he established himself as one of Japans best known businessman. Hakodate, once a desolate town in Hokkaido, has been a prosperous city of Northern Japan ever since. In 1812, Japan was in conflict with Russia. Takadaya Kahei was captured in a dispute over territorial waters and was confined in Kamchatka for a couple of years. He finally was able to negotiate his release, and this incidence left his mark in Japans history of diplomacy and as an international businessman. He continued a productive life as a businessman in Hokkaido until the age of 50, when he decided that he wanted of move back to Awaji Island, his birthplace. It was said that adter moving back that he would often reminisce upon his younger days in Hakodate. 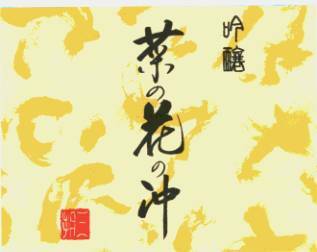 Nanohana no Oki "The blooming yellow field of Nanohana blossoms against the calm Setonaikai Sea." This passage summed up Kahei's love of his birthplace while conjuring up memoreies of Hakodate. The great Kitamae ships were the primary trade ships that brought salt, clothes, daily necessities and sake from Nada city, located in the Kinki area of mainland Japan to Hakodate. The same ships took back seaweed, salmon, herring and other seafood products back to mainland Japan. Sake became especially popular among the people of Hokkaido, where rice fields used to brew the sake as well as the technical skills of brewing were not available. Takadaya Kahei himself had a great deal of knowledge on sake as well as an appreciation for the brew and was always known to carefully pack away sake in his ships cargo, ensuring that it would not spoil on his long voyages. We wanted to brew a sake which would serve as a tribute to Takadaya Kahei. Our dream came true when we were granted permission to name our sake after "Nanohana no Oki", the title of the famous biography of Takadaya Kahei by the renowned author and historical novelist,Ryotaro Shiba. 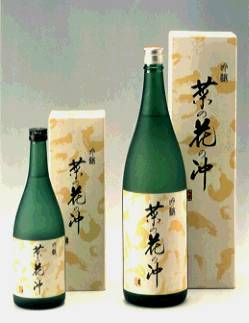 (1923-1996) Our sake is brewed in cooperation with the Kiku no Tsukasa Shuzoh Co.,one of Japans expert sake breweries. We are sure that our sake, "Nanohana no Oki" will be loved by everyone all over Japan as well as the world. We hope you enjoy our great taste from Hakodate.